I remember watching Kim Possible with Cheyenne when she was younger so when we saw a real-life version was out we had to watch it! This Disney Channel Original Movie is a great way to empower girls and let them know anything is possible! 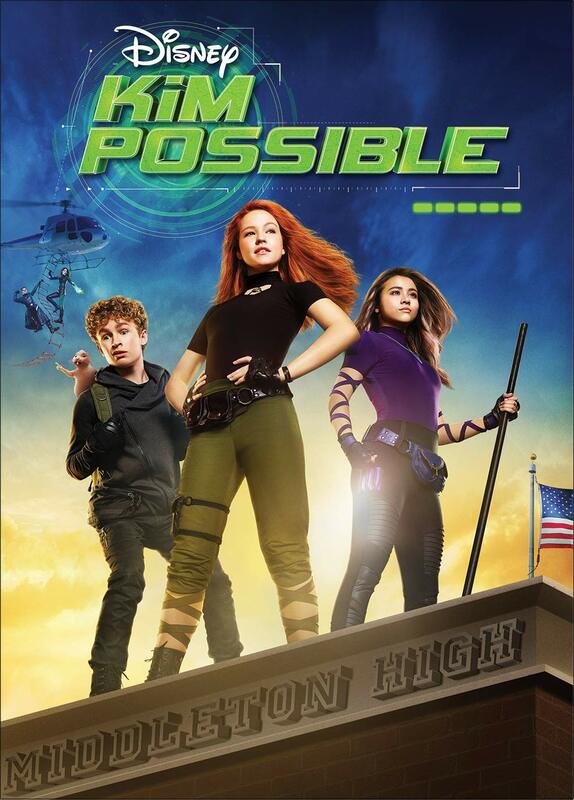 By their side every step of the way is teen tech-genius Wade and new friend Athena, who also happens to be a Kim Possible super fan and is eager to join Team Possible. While Kim and Ron have always been one step ahead of their opponents, navigating the social hierarchy of high school is more challenging than the action-hero ever imagined. With Drakken and Shego lurking in the wings, Kim must rely on her family and friends more than ever. Now it's up to Team Possible—Kim, Ron, tech-genius Wade, new friend Athena and Rufus, a naked mole-rat that Ron meets along the way—to stop these super villains. With special appearances by Christy Carlson Romano and Patton Oswalt. The DVD includes exclusive bonus content with a music video, Q&A sessions, and audition tapes. And trust me you’ll want to watch the bloopers. Kim Possible was released March 26th and is available at most major retailers including Amazon and digitally including iTunes. Cheyenne and I loved Kim Possible and of course the cast and all their talent including singing made it a great movie night. After watching it was fun to reminisce over the cartoons we used to watch together and the similarities we noticed. We might even have to re-watch a few of her Kim Possible favorites including Kim Possible: A Stitch in Time! Get ready for a fun movie night in with Kim Possible!